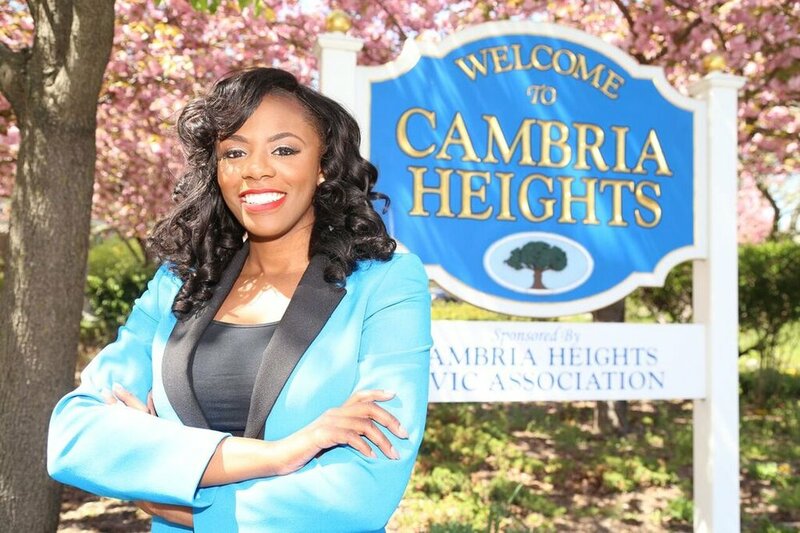 Cortni Grange, is the Founder for Future Leaders & Young Entrepreneurs (FLYE) and a Co-Founder of FutureFIRST. Cortni graduated from Florida Agricultural and Mechanical University with a B.S. in Business Administration. 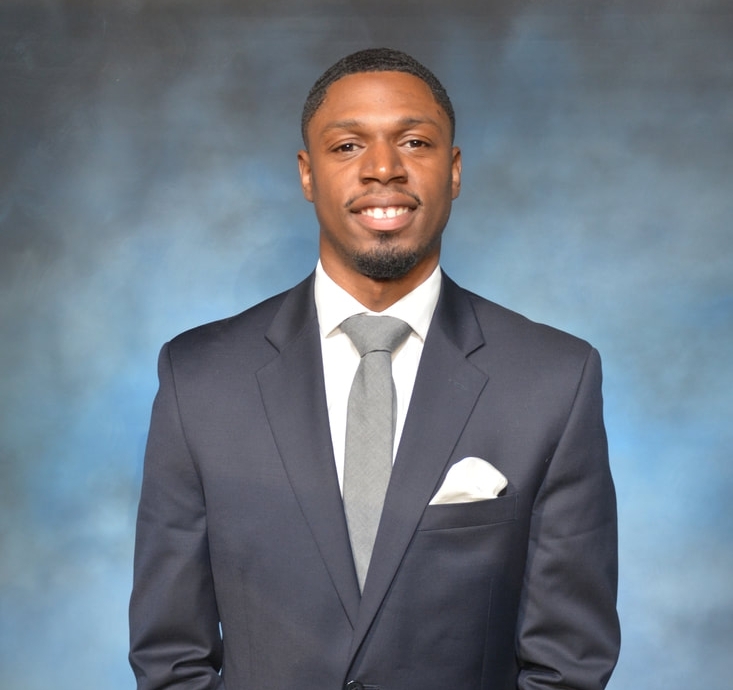 After gaining experience in Sales with companies such as ADP, P&G and CVS, Cortni decided to pursue his passion for being a entrepreneur and making a impact. Cortni is also a Innovation Fellow with StartingBloc. What inspired you to take the route of being a Social Entrepreneur? I think it was discernment and not inspiration actually. Inspiration at first, was based on the typical concepts : Being my own boss, making a difference in the world, creating my own schedule, determining my own worth, etc. But, as I began to actually BE a social entrepreneur I began to realize that it is just a job that happens to have ridiculously more responsibilities, struggles and anxieties compared to working for a company or being a traditional entrepreneur. So when I began to despise being a social entrepreneur as much as I hated being a corporate sales executive what kept me, grew me and pushed me was discernment. It was as if no matter what I did I could not run from this work. Side hustles maxed out early or failed completely, attempts to go get a job failed, EVERYTHING outside of monetizing my universe by serving my universe, failed. In full transparency, it was only about 2-months ago that I fully accepted that as a social entrepreneur I am in less control than when I was as an employee as everything I am doing now is not “mine” nor about me but simply my gift from God that I must never stop giving. How is the importance of profits in Social Entrepreneurship different/the same from those running a more traditional business model? To be quite frank, the only differences are the asinine societal norm that doing “good” work is not suppose to make money. I chose to completely unsubscribe from this construct. If Jeff Bezos gets praised and paid every time he puts a traditional retailer out of business because Amazon (a.k.a digital Debo) makes it almost impossible to compete with as a brick and mortar business, why should I be asked to have meager financial aspirations simply because my work makes positive social impact? In my opinion the importance of profit is just as if not more important to social ventures as it is to traditional business. We are in a time where social causes have become popular and organizations are always being created. What is the competition like today? Is there enough room for everyone? There is always enough room as long as everyone remembers that YOU are what makes your market gap analysis most achievable. I tell everyone I work with from youth to adults if there is not enough of YOU in your idea or venture, you are going to have a hard time. So while there is always competition, it can be easily overcame IF you're able to truly identify what makes you you. Social causes (all business actually) are inherently about 2 things: people and sales. The people factor is all about what is happening, not happening or should be happening to people. The sales factor is can you then take your concept of effecting people and successfully convince others to support it. This affords almost an unlimited available market. As Dan Palotta said in his famous Ted Talk, “The Way We Think About Charity Is Dead Wrong” philanthropy IS the market for love. It is the market for all those people for whom there is no other market coming." What are some hurdles and highlights from your experience with creating a business in the Social Entrepreneurship space? Hurdles: When your passion becomes as stressful (if not more) than your job use to be, you really start to question your decisions. Similar to how everyone wants homeownership but when you get it, you damn sure miss the convenience an apartment complex provides you. Above all the fundraising, late nights, lost or messed up projects, by far, getting out of your own head and dealing with the anxiety, loneliness and depression that comes with everything riding on your shoulders is the biggest hurdle of this work. Highlights: Every time I have my head completely down in work and something randomly comes along to provide praise or acknowledgement. I completely get a high off of accolades and acknowledgment. But, I have had to learn how to channel that narcism right back into the work! As I said earlier the gift of running a successful social venture does not belong to whom created it. It requires a constant filling and outpouring to remain purposeful and in discernments alignment. Another major highlight is seeing the young people this work has touched truly find their way through life. I've been fortunate to work with some incredible young humans and it is my heart's joy to see them prosper and blaze their own trails in life. You are a Founder and a Co-Founder. What has it been like to start a business by yourself vs. a partnership? This question right here might be the most difficult to answer. Entrepreneurship is lonesome so working with others helps to offload the anxiety but, in contrast working with a partner requires a serious ability to compromise. I have both enjoyed and disliked starting ventures alone and with others. This is again, for me where discernment comes in. I may not like having to do something on my own but, if that is what I am suppose to do, I must find a way to do it. The same goes with partnership. Sometimes, you do not have the full vision and it requires someone else to help realize it. You may not like having to share that vision but at the end of the day it is about the vision coming to fruition and not about how you feel about it. One of my business partners always says, “facts do not care about your emotions" and neither do your bills. What are 3 tips you would give those looking to start a business focused on a social cause or adding a social component to their business? DO NOT think a nonprofit is the only way to create a social venture. A 501c3 is simply a tax status. Instead, take time to really think about how you want your cause to show up in the world AND how much money you personally need to make to truly focus on it unencumbered. Research research research. Do not get into a cause for good without knowing why this cause is or is not currently being attacked/addressed and what is valuable and unique about your approach method. It will make you look unprepared rather than someone to be taken seriously. Folks will hit you with “I’m so proud of you, keep up the good work” as oppose to “how do I get involved?' or "what's the minimum equity stake?". I learned this lesson the hard way thinking people would support me simply because I meant well. While people will support people they like, people with REAL investment power will like you if you've done your research. Stop asking for permission and never ask for forgiveness when you fail. Listen to any successful business person (social or otherwise) and they will tell you they have failed much more than they have succeeded. While it may seem cliche and overused, what exist behind the words is most important. It is telling us not to wait for failure to find us, but to hunt it. Find out what makes it happen, why it happens for you specifically and then, when you have cornered failing like a game of prey, you will know exactly what is needed to succeed. Will Smith might have put it best, " fail early, fail often, but fail forward". Kendrick Kenney is an educator with a background in educational media and intercollegiate sports broadcasting. He is currently the Program Coordinator of the Digital Media Production Program at the Community College of Baltimore County. Kendrick takes pride in doing community outreach, focusing on young people and media literacy. Kendrick is a graduate of Virginia State University where he majored in mass communications. He went on to earn a Masters degree in organizational communications at Bowie State University and is currently a Doctoral Candidate at Liberty University. Why is it essential for you to stress the importance of professional development? It is essential for me to stress professional development because often it’s the most important but often overlooked ingredient in achieving sustainable success. Many students do well academically during their educational matriculation but don’t master the soft skills they need to excel professionally. I preach three things that help young professionals get over the proverbial hump and stand out early in their career endeavors. Its all about mastering DAP. Dress, articulation, and paperwork. Clothing is language it’s how we communicate with each other before we even speak. It is important to start building a professional wardrobe early. Articulation or being able to communicate effectively is key. Also, an understanding solution based communications strategies that will allow you to excel in crisis management situations is pivotal. In today’s workplace articulation also extends to being able to write clear, concise emails as well. Lastly, paperwork means having an understanding of how to put together a solid resume and cover letter and how to maximize these documents so that you stand out to potential employers. In today’s competitive atmosphere a college degree does not guarantee employment, so it is critical for young professionals to understand and implement DAP. There are many facets to professional development, what skill is generally the hardest for most students to grasp when it comes to preparing them for the workforce? Professional development is very robust. However, I think the toughest for students to grasp is the paperwork aspect. Many students struggle with putting together a solid resume and cover letter. It is essential for students to get as much experience in their respective fields to put together a solid resume. It is important for them to understand that projects and volunteer experience while still, a student can help create a stronger resume and cover letter coming out of college. It is also important that students use buzzwords and concentrate on using these documents to tell potential employers a story about who the student is. Is there a difference between professional growth and professional development? If, so how do they differ? Yes, I would say there are some differences between professional growth and professional development. Professional growth comes in many shapes and sizes. Many of us learn through our experiences, so it’s the opportunities that allow us to reach the next level in our personal careers. Things that help expand your knowledge as you progress in your career. Traditional professional development consists typically of workshops and tools that allow you to excel in your corporate environment and team. Things that help you assimilate to company culture and things that make you a better professional team member and employee. As more millennial's prepare for management positions, how can they display leadership, in 'non-leadership' roles? It is important to take the initiative. It goes back to the “professional growth” and “leadership by experience.” So as a millennial looking to display leadership, you should be heading up committees taking on small projects. Any way that you can show initiative. On a smaller scale, the other way you can display leadership is by creating your own deadlines for tasks and assignments. It is always important to under promise and over deliver meaning have your own expectations and exceed the ones given to you. Management notices those things and will begin to give you more autonomy and responsibility. 71% of millennial's are disengaged at work. What advice do you have for individuals looking for a job, while on the job? I think it’s extremely important to stay engaged on the job even while looking for another job. To achieve your dream job, you have to essentially purchase it. However, the currency used to purchase your next job is done with career capital. Career capital is actually the skills that we acquire on each job or each position we have before our next job. It’s the skills and knowledge we learn in order to sustain success in our next role. Also, you want to create a professional reputation that proceeds you, characteristics like reliable and hard worker are things that will begin to shape how you are perceived professionally. Which professional development resources would you recommend to individuals regardless of their industry? The first thing I recommend is for young professionals to go to at least one industry based conference a year. It will educate you on the nuances and innovations and your respective field and give you an opportunity to network with established professionals doing what you want to do. Next here is my book list that will provide you with insight on professional development from different perspectives. 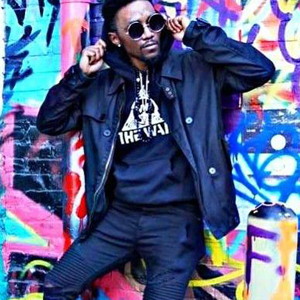 Jonathan Pope is a Designer and the Owner of Unique Creations Apparel™. Started in 2012, Unique Creations Apparel™ takes the familiar method of developing clothing and gives new life to our vision of portraying fashion, as it was designed to be simply a form of Art. Jonathan holds a Associates of Business Administration & Management from Penn State University, and a Bachelors of Fine Arts from the Art Institute of Washington. What was the inspiration for creating Unique Creations Apparel? My inspiration for starting Unique Creations Apparel (uqcapparel) was to address a common issue that I was beginning to notice in our society of everyone begin so socially conscious about themselves. People being concerned or worried about being who they are rather than what society tells them how they should be. I have always considered myself to be a very unique individual and views the world through different lenses and I understood that I was not the only person that felt this way. Unique Creations Apparel (uqcapparel) was inspired to bring a face and awareness to a word that everyone has their own opinion of what that word means to them but to be free and confident to live truthfully in that word and embrace what truly makes you unique. What is your creative process when creating a new collection? Like most creators everything for me starts from an emotional connection I was able to obtain from the last collection and what new or improved feelings I want to have with this new one. My experiences and feelings should change with every given collection I come up with since everything is supposed to be different; therefore my feelings and emotions should be different as well. Once that is understood, the way I believe this new collection will make me feel which can be determined by lots of things such as the season, popular colors, trends etc... I then begin to create a story with my designs with the hope to be able to take the viewer of this new collection on a journey, told through fashion. How has your business changed over time and how has that affected the creative process? I believe that social media has a lot to do with how my business has changed over time. Social media has given me a platform to be able to not only expand my brand and help it grow but to help spread the message of what Unique Creations Apparel stands for and being able to connect with people that appreciate the message. Social media has helped my business enable me to connect directly to my fan base and ability to understand them better but it has also affected my business in other ways as well. There is so much information that viewer is receiving to their smart device daily whether its music, fashion, trends, gossip reports etc... that sometimes you feel like you always constantly need to provide material so that your viewer will not get bored and move on to someone else which can ultimately affect the creative process. So for me I had to learn to be very selective of what I put out to the public to view rather than just providing content that may not be our best work. With fashion being a fast moving industry with lots of trends, do you allow the current atmosphere to influence your collections? I think for anyone who considers themselves to be a fashion designer, clothing designer or what have; I think it’s foolish to believe that they don't pay attention to trends, what’s current, what patterns, textures, or what color schemes are making a comeback. Those things change so fast I think it’s very important for brands to have a foundation that they can always fall back on that will always demonstrate and convey the brand’s message. There are certain things that you will always be able to count on when shopping at Unique Creations Apparel: you will find apparel items with bright/intense colors, eye-catching designs, comfortability and affordable pricing. Now, we will experiment and throw in different trends that we feel meet our creative process, but rest a sure if those items don’t work we will always go back to what defines who we are as a label. How do you approach competing against other brands in similar apparel categories as yours? Don't get me wrong I am a very competitive person by nature and I am always looking at my competition to see what they are doing in regards to their label, but honestly the fashion industry is so large and diverse that everyone can be successful in this space without the concern of worrying about someone else putting you out of business. One of the things that make the fashion industry so great is that you can have more than one favorite designer or brand the same way people like more than one type of music or food. My approach is to never be worried so much about what my competitors are doing but how I can continue to spread our message and attract more people who can relate to a label that promotes individuality and self-confidence. What are three tips that you would give those looking to start a clothing line? Have a clear understanding of what type of clothing line you want to produce. People have this misunderstanding that when you say you have a clothing line or that you make clothes that it relates to everyone and it might not. It is a completely different business when you say I design menswear versus someone who says they design womenswear. Understand your target audience. When developing your clothing line have a clear understanding of who you envision wearing and buying your product. Try and learn everything you can about your target audience and figure out the best ways to convey that message towards them. Create your clothing line around something that you are passionate about. Everyone today believes that they can be a designer or creator of some kind and make something that looks cool on the internet but when you create a product around something that your passionate about you will be amazed of how you can connect with people who are passionate about the very same thing. "Be a husband and a wife after hours. Enjoy your marriage, take vacations, and do not lose true intimacy with one another because of business." Mr. and Mrs. Lee are the owners of Breasia productions. Breasia Productions is a professional audio, lighting, video production and online streaming company committed to providing quality service and support for various types of concerts and events, large and small. Business With Your Spouse: Does It Work? Professionals often suggest that having your spouse as your business partner isn't a good idea. How are the two of you dispelling those myths? That may be true of many but for us, working with someone that is your life partner works. We honor and value our relationship. We are careful not to overstep each other’s position. We trust each other. Honesty is important. We have active positions within our business. Consequently, my wife handles the administrative side of our business along with a dynamic team. My team and I design and produce the various shows, concerts, and corporate events. These departments work independent of one another allowing for a degree of separation which is healthy. It is necessary for the departments to come together quite regularly to achieve a common goal. My wife and I have learned over time to put our differences aside to meet our Client’s needs and to create an outstanding event. Also, it doesn’t hurt that we actually like each other. Contrary to what people may think, our desks are not side by side. We work in separate spaces within the company. Because our company has multiple locations, we do not have to be in constant physical contact at all hours of the day. This model has worked for more than 11 years. As business partners, have you always shared the same passion to work in the industry that you're both in? Absolutely not. My wife, Nailah Gobern Lee, LGSW, is a licensed and accomplished social worker which is in a completely different direction than event production. I have been in the event industry for over 24 years. My wife joined me in my entrepreneurial endeavors halfway through my journey. She did not jump on the bandwagon immediately but after about three years into our relationship she saw the value of what I was building and with minimal hesitation fully supported me. It meant a lot to me that she was willing to put her career on hold to help direct and fill in the areas where my company needed support. When did you both decide that working together would work well for you both? The moment was when we realized that Breasia Productions had the potential to support our growing family. Jamal and I had to live a minimalistic lifestyle in order to give our company a chance to grow. There was a moment in 2010 where I, (Nailah), saw the benefit of joining the company full time but it was a struggle for me. I had a clear path and purpose set before me in the field of social work and community organizing. It took careful calculation and a lot hugs and kisses from my dear husband to help me get past my fears of entrepreneurship. We both have our areas of expertise and we naturally fell into our roles within the company where our gifts could be better utilized. I do not consider myself as much of a risk taker as my husband. We ultimately made the collective decision for me to join the company full-time in 2011. We all have a unique set of skills. How have your individual strengths in marriage transferred to your strengths in the business realm? We both put God first. He is at the center of our marriage and as a result He is at the center of our company. Because of the marriage there is a definite bond created that does not afford us the luxury of ultimate failure. It does not imply the we have not had our share of let downs and disappointments but overall failure is not an option. To be clear, Nailah joined my company before we were married but after marriage, all that I have and all that I am was hers as well. A better model for us was Co-ownership. Respect, love, understanding, compassion, willingness to succeed are just a few words to describe our marriage. We had these qualities before we were married but it was solidified and strengthened after marriage which spills over into our organization. What are the benefits of having your spouse as a business partner and what are some of the challenges? It is very beneficial to have someone that keeps you grounded. The challenge is that sometimes I just wanted my wife without the business attached in any way. Often times problems in business trickled over into our personal life resulting in some pretty cold nights, but never the opposite. We have never had our issues at home trickle over to our business or employees. My husband and I are business professionals that happen to be married to one another. What 3 "nuggets" would you give to a couple thinking about going into business together? Respect one another. Care enough about your spouse and what he/she has to say without bias or malice. This will allow you both to freely engage one another. Arguments will come but are often a window for greater insight. Do not hold grudges, talk to one another. You are not always right; agree to disagree. Come to a collective decision knowing that success is the ultimate goal. Co-ownership is not for everybody. Be careful, co-ownership with your spouse could be the beginning of the end so PRAY. In our household prayer works. Have your “why” at the forefront of your mind and business relationship. Make an unselfish decision that benefits your spouse which ultimate elevates the unit to take on the awesome endeavor of Co-ownership. It is not easy but the rewards are stellar if you keep love at the center. It may seem corny but it works. The PESO Model has been around for years and heavily implemented amongst organizations, brands and communication plans. The way we communicate is constantly evolving and there are so many tools organizations can utilize. But let's start with the PESO model and how you can implement communication strategies to make it work for you. Paid Media is any media form you actually have to pay for to push your communication program to larger audiences such as, social media advertising, email marketing, and sponsored content. Earned Media is how publicists continue to keep their jobs and clients happy. It's the relationships we continue to build with broader media outlets (media relations) and curating creative strategies to get client coverage. This can include securing TV appearances for your client, events, product placement, or getting newspapers or trade publications to write an article. Shared Media is done through social networking. It's the result of a brand and customers interacting and mutually creating content. By now every social media channel should be on a client's and organizations' radar to strategize the use of each channel. Owned Media starts with you. The Owner. Your Website. Your Blog. It's the content you curate to keep your audience coming back for more. The use of the PESO model helps writers create content that builds and shares a brands message. Earned media was the first element we used to reach out to local press and publications in our target market to bring a brands message to life. In 2000, social media was still growing and we weren't using the platforms as a place for shared and owned media just yet, so we relied heavily on our media relationships just like we do today. The PESO model has since evolved and continues to be used amongst brands and organizations today. Ready to start developing your own PESO model for your brand or company? Elizabeth Anderson-Cadogan is the CEO of Cadogan & Associates, LLC. With over 15 years experience in operational optimization, Elizabeth is a Business Development Consultant, Speaker, Business Coach, and Outreach & Engagement Facilitator. Cadogan & Associates is a full-service Washington D.C. based consulting firm providing business development resources to the private, public and non-profit sectors. Mistake! [Laughs] no, it is a way to bring new and innovative ideas to the marketplace. It provides a chance for minorities and women. Young women are often unrecognized in the workplace; entrepreneurship offers an opportunity for them to build wealth–there's still a pay gap especially in fields where women aren't largely represented in leadership. In business when you're your own boss, you get to ask for what you deserve. When did you decide to become an entrepreneur full-time how was that transition? Did you create a plan? It was an easy transition. In my field, I already knew the challenges entrepreneurs face. I had already done the research, a lot of research, and I was well-prepared for the upcoming challenges. After your first year as an entrepreneur, what is the biggest lesson you have learned? You cannot do it all alone. [I've learned the importance of] having a team and a support system to provide with additional knowledge and resources. How was the process of hiring interns and employees to aid in achieving your goals? Hiring interns was an easy process, finding interns with skill sets I need is challenging. A lot of the time, with interns, it is their first professional experience and some may not have experience in my field. Juggling the demands of the business, training and mentoring staff can be challenging. What were your greatest achievements and hurdles? Bringing in over 40 clients in one year and making connections internationally. A hurdle would be, maintaining the original mission while also growing the business. Keeping the balance between serving the core demographic and expanding to service the needs of new clients. What are five tips you would give entrepreneurs going into their first year? Do your research, know the market, make sure you're an expert in your field. Get a team–interns. Interns will help you because they ground you. They allow you to make sure your work can translate to clients because they're learning [too]. Something that I should do more of–work-life balance. Taking time for the things that are important to you is necessary like having dinner with your family. It’s important, so you don't end up working yourself to death.